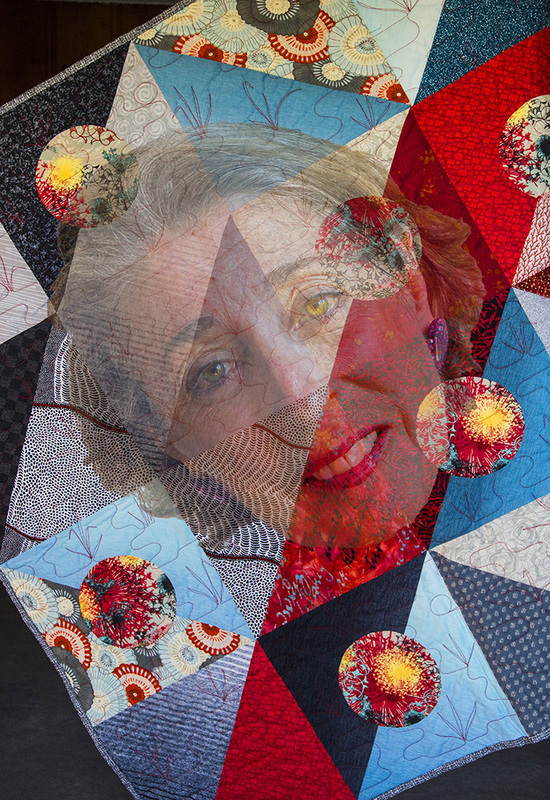 Aside from being a physician and a musician, Susan is a talented maker of art quilts. Her latest completed work is reminiscent of a myterious landscape from a new world, hence its title "Opus 95," the catalogue number of Dvorak's New World Symphony. Susan is pictured here emerging from the quilt. I enhanced the ususual color of her eyes, especially the left, to mimic the eye of a tiger. The pattern of the cloth endows the right side of her face with "whiskers," and the tip of her nose spotted, as though moist. The Tigress Quilter.